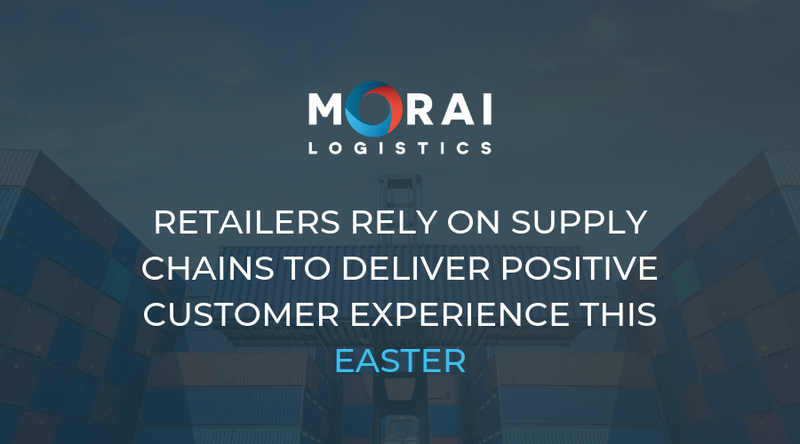 Blog | Morai Logistics Inc.
Supply chains and third party logistics (3PLs) must offer optimized solutions to meet consumer demand throughout the Easter holiday. In 2018, Easter was celebrated by 84% of Americans. This fun and festive April holiday, is a time for children, family and friends, to enjoy traditional gatherings and exciting Easter egg hunts. This holiday is also a ‘time of generosity’. The most popular gift of 2018 was chocolate, sweets and candy. Statistics on planned consumer spending shows that last year, USD$2.6 billion was spent on candy. Food generated the most revenue at USD$5.7 billion, followed by gifts at $2.9 billion. That’s a large output of candy, food and gifts to deliver for such a short holiday season. However, consumers want more than on-time delivery. They want something personal. More and more consumers notice stores providing the same options. Therefore, what differentiates these companies? Customer experience (CX). While consumer demand is at an all-time high all year round, holiday seasons usually generates an incredible peak. To deliver positive CX, retail companies rely on their supply chains. The impression you leave with your customer, resulting in how they think of your brand, across every stage of the customer journey. They further recognize that ‘multiple touchpoints’ impact the overall CX for a customer. 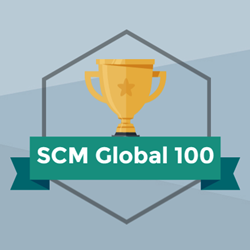 From a supply chain standpoint, CX focuses not only on direct customers, but the customers they serve as well. That’s why consumer demand across any industry impacts the supply chain. Retail companies, who serve the Easter market in particular, are recognizing how important personalization services are. Rather than send a generic bunny bear to your eight year old niece, wouldn’t it be more meaningful to personalize it with their name? 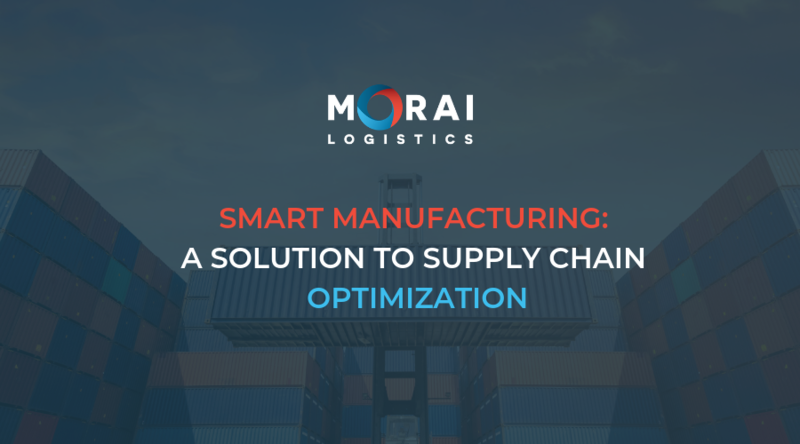 This requires digital supply chain capabilities — from the e-commerce site on the front end to supplier coordination for fulfilling orders to real-time logistics for tracking the goods. In addition to personalization, other factors such as speed, on-time delivery, and visibility also create positive CX. Consumer demand is an ongoing barrier that retail companies and their supply chains face throughout the year. For any holiday season, the window to retain and capture new and loyal customers is shorter. Yet, customer expectation is high. 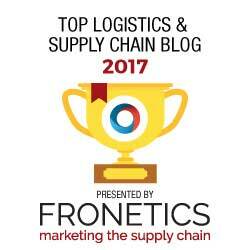 Supply chains and third party logistics (3PLs) providers play an important role in delivering positive customer experience. They enable their customers to deliver product with speed, agility and efficiency. When large outputs are required during high seasons, such as holidays, 3PLs can be the difference between loss and retention. They host a network of omni-channel services that include air, ground, rail and ocean shipping. Large product loads are also transported in a safe, efficient and time sensitive manner. Innovative technologies are integrating into processes and operations within manufacturing, warehousing and on-the-road deployment. Machine learning, artificial intelligence, and robotics help create streamlined and automated processes. In addition, this also shows a reduction in errors, delays, while ensuring on-time delivery and safe handling. This helps improve transparency, inventory control and traceability, which enables their customers to deliver a positive customer experience. As technology continues to grow at an unprecedented pace, organizations must optimize their supply chains to compete with the ‘Amazon Effect’. The ‘Amazon Effect’ is a significant global movement that is shaping the way consumers buy and businesses sell. The term is linked to leading organization, Amazon, and the innovative and connected approach they take on selling goods worldwide. However, the disruption caused by this technological shift also impacts many industries, including supply chain and logistics. According to Forbes Insights, the ‘Amazon Effect’ is one of four forces that will transform ‘logistics, supply chain and transportation’. 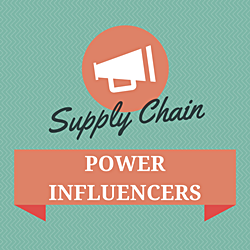 The impact on supply chain stems from the rapid increase in consumer demand and output produced by online shopping. This requires the industry to take an innovative approach to the entire end-to-end journey of delivering a product to consumer fast and efficiently. Technology has played an integral role in enabling supply chains to keep up with an ever changing global market place. In addition, an innovative and expert talent pool is also necessary to lead this industry into the future. However, there are hurdles and growing pains that come with any large scale change. 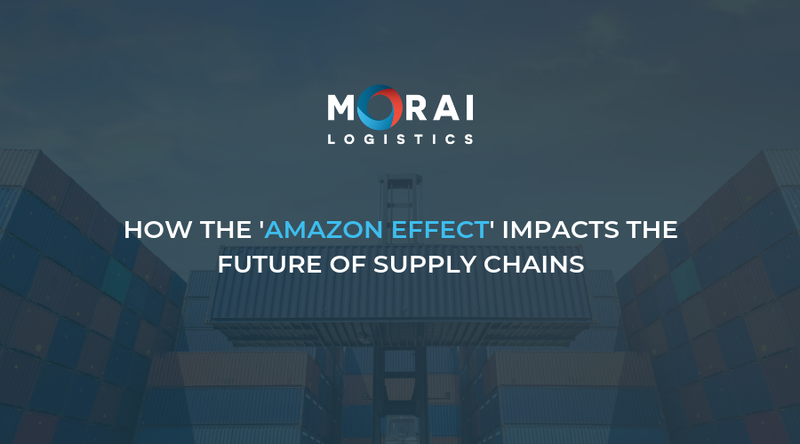 This article by Morai Logistics discusses how the ‘Amazon Effect’ is shaping the supply chain and logistics industry. It also touches on effective strategies for change supply chains should implement to ensure organizations stay competitive and on top. The Internet and emerging technology platforms create endless opportunities for people to search and shop online. Last year, in 2018, ‘global e-retail sales’ generated USD 2.8 trillion. This number is forecasted to reach up to USD 4.8 trillion by 2021. In terms of the number of people expected to purchase product, there will be 2.14 billion global digital buyers by 2021. How do these figures relate to the ‘Amazon effect’? The “Amazon effect” refers to the impact created by the online, e-commerce or digital marketplace on the traditional brick and mortar business model due to the change in shopping patterns, customer expectations and a new competitive landscape. This causes an increase in pressure on retail companies to take a more innovative approach to selling at both the in-store and online level. However, there is also an incredible amount of demand on supply chains to meet these growing demands and expectations. At the most basic level, supply chains enable the delivery of a good from point A to point B. From a retail perspective, this relationship is usually between a business and a customer. Between the fine lines, there is a cohesive interaction between manufacturers, shippers and possibly third party logistics providers (3PLs). However, what happens when a large increase in output occurs? According to Supply Chain and Demand Executive, supply chains that are ‘ill-equipped to administer efficient, high-volume production strategies’ suffer. As online shoppers continue to seek companies that offer convenience and speed, supply chains must also integrate technologies that optimize their processes. Looking forward, supply chains must also evolve with external markets in order to remain competitive with the ‘Amazon effect’. In addition, there should be a focus on agility, efficiency, visibility, and end-to-end traceability. While the ‘Amazon effect’ is a disruptor, it also pushes organizations to think about the future and understand where the market is headed. By being aware of the growing expectations of customers, both retail and supply chains can thrive. Experts say that supply chain management is one of the top industries that will benefit from the adoption of artificial intelligence (AI) this year. 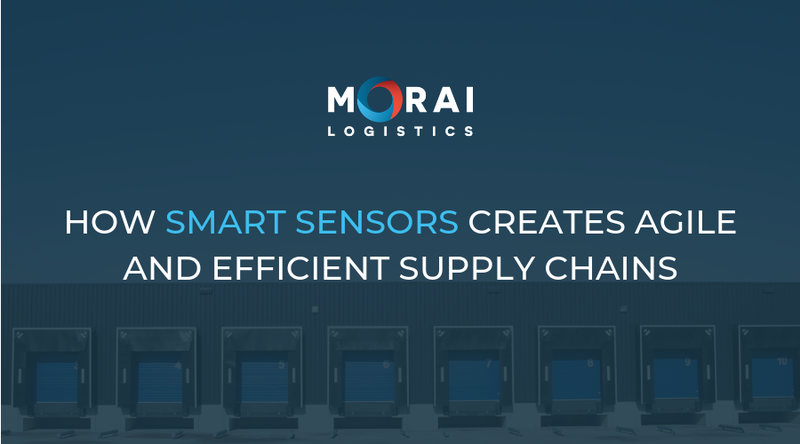 In February, Morai Logistics discussed the positive impact Artificial Intelligence is forecasted to have on our industry. From robotics and machine learning to delivery optimization to maintenance consistency, the possibilities are endless. According to Statista, in 2025 the global AI market is expected to generate approximately 89, 847.26 billion U.S dollars. This technology has gained considerable global interest for the heightened efficiency, productivity and innovation it provides many industries. The AI market is also forecasted to contribute ‘$15.7 trillion to the global economy’ by 2030. There is no denying the positive impact Artificial Intelligence will have on industries that help propel our world forward. 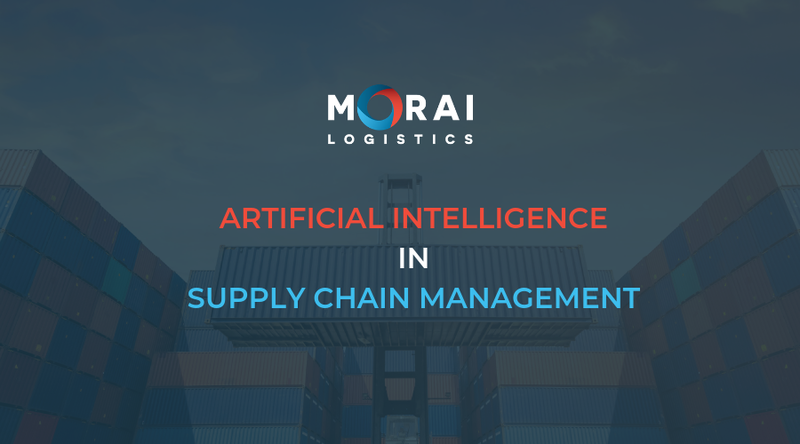 Supply chain management is considered one of the top three industries to benefit from the advancements of AI technology. From the manufacturing floor, to inventory and logistics, AI is a catalyst for efficiency, agility and accuracy. 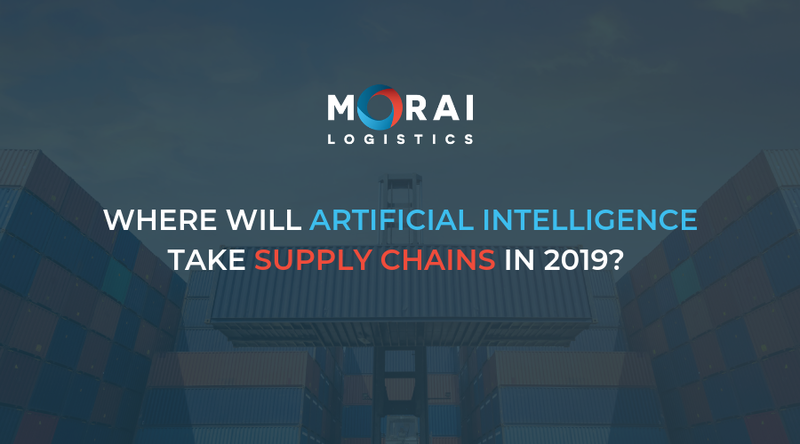 In part two of Artificial Intellignece, Morai Logistics discusses the current impact of AI in the supply chain industry in 2019. It also outlines the valued benefits of integrating AI technology into supply chain management. To understand the global impact of AI, Microsoft commissioned a survey that included 400 senior executives working within eight various markets. Their findings indicated that 94% of executives ‘describe AI as important to solving their organizations strategic challenges’. Digital maturity has been a slow and progressive movement across a variety of industries. However, more than 27% of executives stated they have already incorporated AI into their organizations. From a supply chain standpoint, a recent study by global research leader, McKinsey, found adoption to be significantly high. Their global survey indicated that 76% of supply chain respondents found ‘moderate to significant value from deploying AI’. Their research indicated that supply chain management is one of the top three industries to benefit from this technology. Thus, confirming that this technology has made its way into the industry, with positive feedback from top level professionals. Before we outline the extended benefits of AI in supply chains, it’s important to first recognize the challenges with implementation. If the process of integration of technologies was simple, many industries would be at the higher end of the spectrum of digital maturity. Forbes indicates that the most significant challenge is acquiring the right talent pool. However, they also followed with optimism that many organizations place importance on ‘building in-house AI capabilities’. Therefore, as supply chains evolves, employees are also encouraged to develop their skills. There is tremendous opportunity for AI to augment human abilities across industries while capitalizing on unique human capacities for creativity and agility – human characteristics that are difficult for computers to mimic. This supports the fundamental reality that AI heightens employee performance, as AI technologies enable them to focus on their core skills. Furthermore, research has also found positive results from the integration of predictive capabilities. The reality is that AI continues to evolve and learn which also enables supply chains to learn and adapt to change. This is especially helpful when developing processes that enable ‘demand forecasting and capacity planning’. Big Data is also an incredible tool that helps technologies such as AI advance. Research indicates that 81% of shippers and 86% of third-party logistics (3PLs) providers believe in using Big Data. In fact, they believe that ‘using Big Data effectively will become “a core competency of their supply chain organizations. AI will cause considerable change and provide opportunities to the supply chain and logistics industry in the upcoming years. As organizations continue to diversify their labour force and integrate and develop various tools using AI, supply chains will see positive growth. Experts believe that through digital freight matching, transportation supply chains can open a new way of driving efficiency and visibility. Advancements in technology have created many opportunities for transportation supply chains to develop game changing digital tools. Emerging platforms such as artificial intelligence (AI) and machine learning have enabled supply chains to improve efficiencies and visibility. However, there is still an unceasing level of innovation yet to be explored, with initiatives such as mobile apps setting the stage. The new year also provides many opportunities for shippers to turn to technologies and digital transformation to improve their operations, efficiencies and bottomline profits. 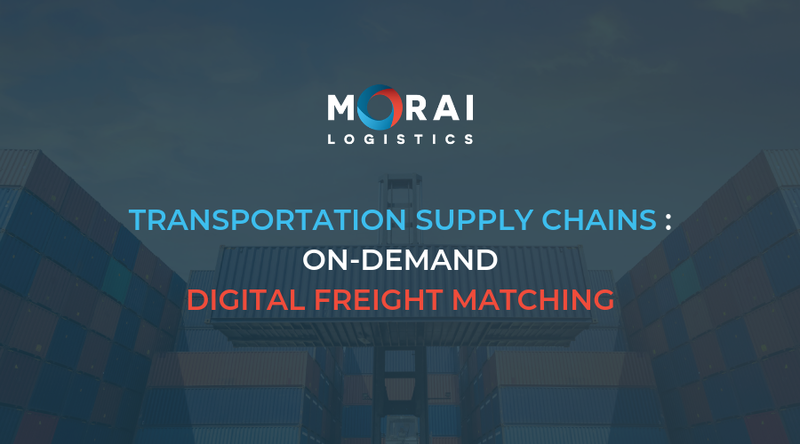 Digital freight matching, or ‘on-demand load-matching’, is an industry technology that experts believe will be a game changer for carriers and shippers. In fact, the on-demand supply chain market is gaining considerable attention this year as a top trend to watch out for. This week Morai Logistics will examine the forward thinking theories surrounding digital fright matching and the role of the Sharing Economy in adoption. 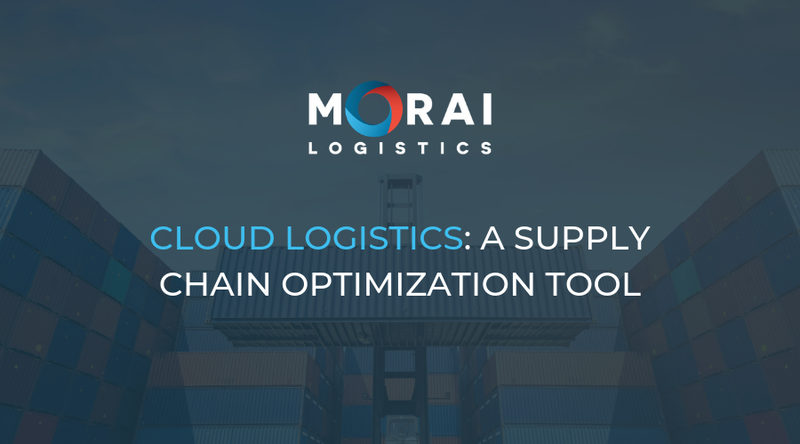 On January 17th, 2019, Morai Logistics discussed the current capacity crunch impacting transportation supply chains. It causes a variety of setback for shippers, as a decrease in drivers means an increase in freight rates and inefficient delivery. Two of the most common reasons for this nationwide shortage is a shortage of drivers and Electronic Logging Devices (ELD). Freight matching solutions leverage new technology such as ELD and real-time tracking to know the location of carriers’ trucks with capacity and help determine which carrier wants the available load the most. Therefore, the outcome is a robust, smart and strategic supply chain. Third party logistics providers (3PLs) are able to integrate this into their solutions to help improve efficiencies and utilize insightful data. A mobile-app that has changed the way we travel and live is Uber. This app is used in over 65 countries, with 3 million drivers. Research indicates that out of the total number of drivers worldwide, ‘750,000 are based in the US’. Over the course of the last year, Uber has also recognized an area of expansion, advancement and profit. It has also expanded its scope and delivered Uber Freight to the world of transportation. Technologies, such as Uber Freight, are an example of mobility on demand (MOD). This concept describes a ‘user focused’ initiative that offers ‘integrated transit networks and operations, emerging mobility services, connected travelers, co-operative intelligent transportation system and real time data’. The integration of digital freight matching is another example of how technology can improve efficiency and visibility. These emerging platforms offer shippers and carriers the opportunity to expand their networks, acquire real time data and survive the industry capacity crunch. Where Will Artificial Intelligence Take Supply Chains in 2019? This year, artificial intelligence (AI) remains one of the top advancements in supply chains and an integral solution toward improving efficiency. Artificial intelligence generated major buzz as a revolutionary technology for supply chains in 2018. 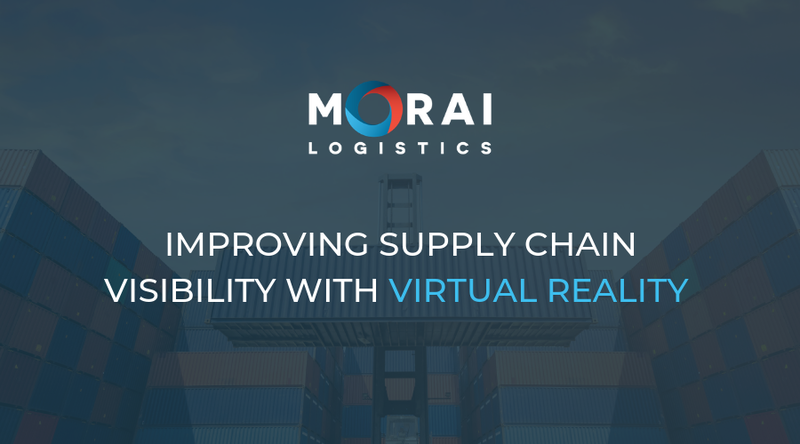 Early last year, Morai Logistics discussed how AI improved transparency with customers, in addition to optimizing transport management systems. In fact, the success of the market in 2018 generated ‘USD 730.6 billion’. The latest forecast on Artificial Intelligence in supply chain indicates that by 2025 this figure is ‘expected to reach ‘USD 10,110.2 million’. This increase is based on a compound annual growth rate (CAGR) of 45.55%. By 2023, at least 50% of large global companies will be using AI, advanced analytics and IoT in supply chain operations. Gartner, a leading global research and advisory firm, believes that over the next four years, the presence of AI in warehouses will also increase. In fact, by 2023 collaborative robotics will supplement ‘over 30% of operational warehouse workers’. The goal of integrating AI into supply chains is to support high demand with greater visibility and efficiency. Experts also link the integration of AI enhanced technologies, such as the Internet of Things (IoT), with ‘revenue increase or cost savings’. Let’s take a deeper look at the top ways this technology will impact the industry this year. Robotics will play a significant role in improving warehouse performance. There has been skepticism in the past that advanced robotics will replace human labour, however, this is not the case. On the contrary, robots and workers will work in a collaborative working environment. Research indicates that these ‘intelligent and aware’ machines are best suited for ‘complex motor control’. Furthermore, to enable workers to focus on their strengths and core responsibilities, robotics can independently help move goods around. Artificial intelligence collects information from sensors on equipment, which combines with maintenance records. This efficient, streamlined process will ensure transparency on maintenance and improved productivity is achieved. For instance, extended research found that integrating AI could improve ‘productivity by 20% and cut maintenance costs by 10%’. The advanced learning of AI also provides the added benefit of improving efficiencies throughout the shipment life cycle. This includes Omni-channel modes of transport such as tracks, rail, ocean and air. In the fall of 2018, Forbes spoke to the integration of ORION, an ‘AI-powered GPS tool’ that UPS had adopted. This technology removed barriers caused by traffic and back-tracking, by collecting and transmitting data by customers, drivers and vehicles. The insight generated from this data would be utilized to pin point ‘the most optimal routes’. This is a great example of how AI can contribute to improving efficiencies while also improving cost-savings across the organization. Based on the above findings, Artificial Intelligence (AI) will equip supply chains with the support and optimized solutions they require to improve efficiencies. From warehouse and robotics, to improving maintenance consistency and delivery optimization, AI will continue to drive the market forward.